In the profiles featured below, meet Point Park University undergraduate and graduate students who have landed an internship in their field. These students describe how their internship provides them real-world experience and is helping them to reach their career goals. 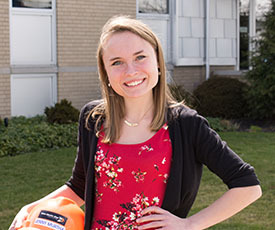 "I believe Point Park is helping me reach my goals by giving me a great learning experience in the classroom, as well as opportunities through the Career Development Center including co-ops and internships. 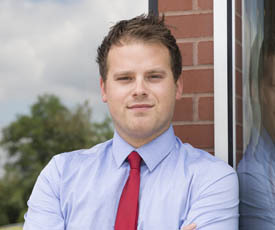 I have had an amazing experience with the faculty of Point Park." "With this internship, I’ve learned how to conduct different environmental surveys. One of the bigger surveys I do are called pollinator surveys for Project Bee Watch. Project Bee Watch uses citizen science volunteers and researchers like Professor Opdyke and me in order to track the activity, type and amount of pollinators that populate a specific area." 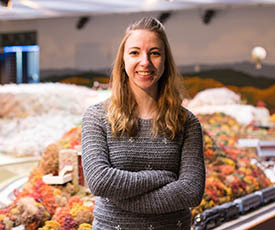 "I have worked on a variety of projects during my internship. I usually produce at least one package related to the news of the day, logging interviews and conducting in-depth research for future packages. I worked on two documentaries about the high cost of prescription drugs in the U.S. and about the increased number of Arab-American women running in the 2018 election." 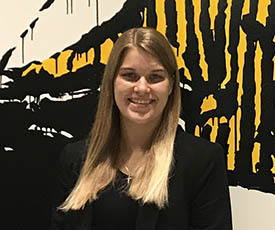 Tax Intern, Herbein + Company, Inc.
"Accounting majors at Point Park are made aware of so many opportunities in the field. Also, being in a Downtown setting makes it very easy for us to connect with accounting industry professionals and have access to many different companies." "I encourage all students to try to land an internship. Internships truly help you to see why what you are learning in class is valid and important. They also allow you to gain exposure to your industry before graduation, which looks great on a resume!" "I attribute this opportunity with the Penguins — and my internship with the Steelers — to Angela Scaramucci and her Career Prep class. She let us know about internship opportunities with the Penguins and Steelers and then put in good recommendations for me for both." 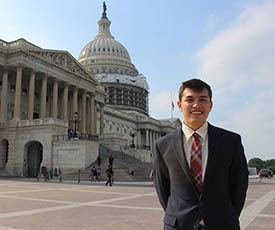 "My two favorite parts of my internship thus far are the amazing people I've met, from reporters to fellow students, and working on Capitol Hill ... Point Park is one of the best schools to get an education if you're ready to work. The moment you walk in you're already immersed into hands-on experiences I feel you can't get as quickly at other schools." 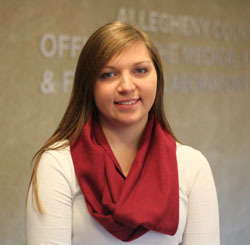 "My internship with the Allegheny County Medical Examiner's Office is a dream. 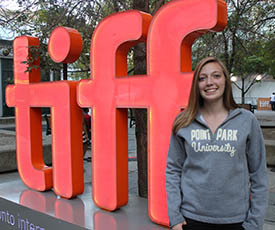 It is one of the main reasons I chose Point Park — because of the connections my advisor has with the office as well as its close vicinity to campus." 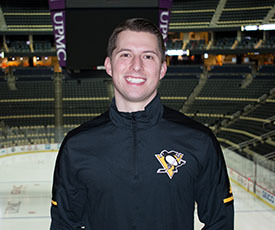 "I wouldn't be with the Pirates if I didn't get involved with Point Park's Pittsburgh Center for Sports Media and Marketing. As a member of the group, I had the chance to attend the Baseball Winter Meetings during my freshman year. It was there that I landed a video production internship with the West Virginia Power, the Class-A affiliate of the Pirates." "Pittsburgh is a such a great city to live and learn in. From a filmmaker's perspective, I have always found projects to work on and there's plenty of arts and cultural events happening in the city. It's a great location for artists! In addition, Point Park is a very liberal university. There are many different backgrounds, personalities and a mix of cultures." 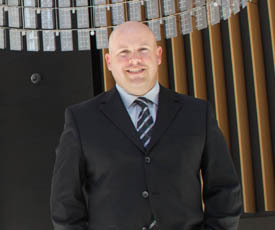 "As a student veteran, I chose Point Park University for several reasons. The first reason would be the University's graduation rate and outcomes. Second, Point Park gave me the flexibility and opportunity to continue to grow both professionally and personally. Finally, the faculty, staff and academic administration have been what I would expect from a top-tier school." "I found that the M.A. in Media Communication was a great fit for my interests and career goals. I like the flexibility in the programs, like on ground, hybrid and online courses. I value an education that is provided by professionals who have real experience in the field." "I adore Point Park University! I chose Point Park for the caliber of professors with real-world knowledge of current business practices. 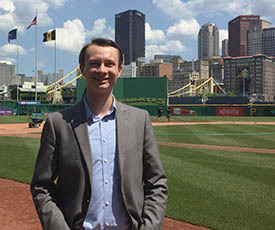 Point Park has real passion for the City of Pittsburgh and it shows through the different community opportunities that are available through the MBA program and the University as a whole." "What I like about my business management classes so far are my professors. They are professional business people who have knowledge of working hands-on in the field. Their real-world experience has been beneficial to me because they have been able to demonstrate situations that I will be running into in my business career." "I would just like to say that Point Park is a great university to attend, especially if you like being in the middle of the action. The faculty members here do a great job of guiding the students in the direction they want to go. I would also like to say thank you to the faculty who have helped me get to where I am at today. I could not have done it without all of you." "Since I've been exposed to working with the media in this internship and all of the research I've completed, it has really opened my eyes into the diverse field of PR." "Besides working at my internship, I was able to attend press and industry screenings, panels and meet-and-greets with filmmakers. At panels and screenings, I had the opportunity to sit next to industry professionals and start a conversation. The meet-and-greets were also a great way to talk to the professionals face-to-face." 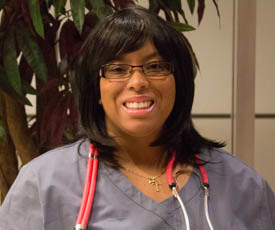 "Point Park has helped me tremendously in working towards my dream job. 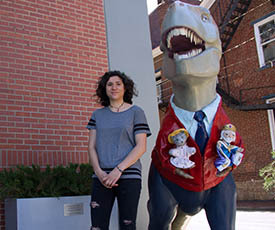 Not only do we have media professionals as our professors, but we also are given endless opportunities for networking and different internships in the Pittsburgh media community." 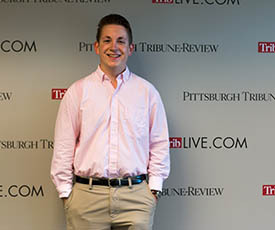 "One of my professors, Andrew Conte, is a reporter at the Pittsburgh Tribune-Review. He sent an email to students in his class about the internship opportunity and it was definitely something I was interested in. I applied and landed the position." 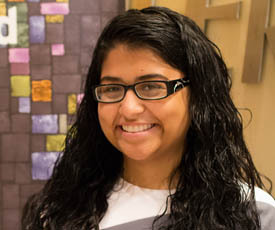 "My accounting classes have given me the basic understanding of the material I need to get my job done at Ernst & Young. Everything I have learned in class is the backbone for what I am doing during my internship. I would not be able to work as efficiently or ask intelligent questions about the work I am doing if it were not for my accounting classes." 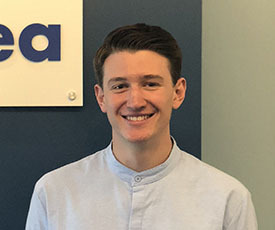 Global Security Intern, Mylan Inc.
"I found out about an internship at Mylan by searching on the Career Development Center's web pages for various types of employment and internship opportunities. This internship was interesting to me because it was related to the current field I am pursuing. I was fortunate to do well on my interview and be offered the position." "I am working on marketing and social media by establishing and maintaining social media channels and developing a content calendar that includes a company blog and upcoming e-newsletter. I am also writing case studies and summaries of the firm's product design and development projects with national companies." Event Operations Intern, Heinz Field, PSSI Stadium LLC. "Freshmen in the SAEM program are required to complete 24 hours total of independent job shadowing. My shadowing was done at Heinz Field. 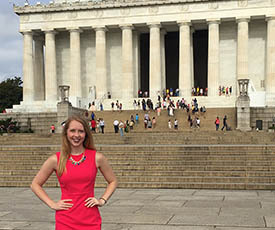 I credit the shadowing I did freshman year in the SAEM program to landing this internship because it allowed me to make a connection I have maintained for four years." "I'm given real, meaningful work assignments and held to the same standards that full-time employees are held to. 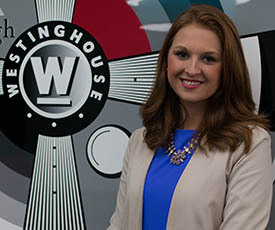 I've worked on a variety of communications projects, including planning a leadership meeting, assisting with development of presentations, writing articles and emails for distribution to broad employee audiences and assisting in a video production project." "My key responsibilities were to help promote the museum to the public. I tracked media exposure, promoted events and exhibit openings and completed a variety of professional writing projects. I hope that all Point Park students take advantage of the professional opportunities available to them so close to our Downtown Pittsburgh campus." "I wrote events for the magazine, proofed the magazine, wrote for the website and pitched story ideas during my internship. Point Park is a great place to learn about your major and a great place to gain experience. With all of the connections around Pittsburgh and the world, students will get the knowledge and experience they crave." "Professor Edward Scott helped me land this internship. He assisted me with my resume and recommended me to the company. I feel very lucky and I am very thankful for his help. All of the accounting professors at Point Park are very knowledgeable and dedicated to the students." "I work hands on with the resident animator in developing concept art for various clients and in-house projects, as well as aiding in the daily function of the company. I have had many opportunities in the animation program to sharpen my art skills as well as my social skills, and have learned to present my work and myself professionally." 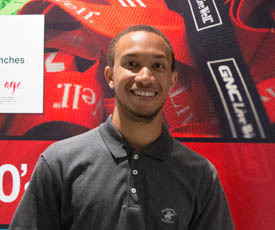 "This internship will help me reach my career goals because I am gaining valuable industry experience. There is a lot of behind-the-scenes work done in the engineering world that cannot be taught in a classroom, and I believe this experience will give me an edge in finding a job after I graduate." "During my internship, I was able to help out with a variety of tasks and projects and gain real-life work experience. After two semesters of interning, I transitioned into a part-time role as the internship coordinator. 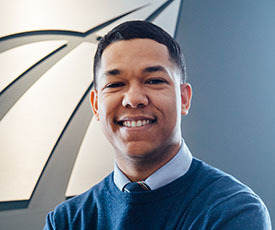 Shortly after graduating from Point Park, I was thrilled to learn Urban Innovation21 offered me a full-time position to stay on as their internship coordinator." "Doing this internship has really helped me get some real-world job experience in my field of engineering. It's a good way to learn more about different management styles and work environments, which has helped me professionally to gain more value, confidence, assertiveness, and decision-making abilities." "I have learned a lot about running rehearsals, calling shows and developing a personality that allows actors, directors, and designers to feel comfortable to confide and trust in me. To work in an environment such as the O'Neill, people rely heavily on stage management to put up a reading in five days."